Course Website: Official Website - Visit Blackwolf Run (River)'s official website by clicking on the link provided. 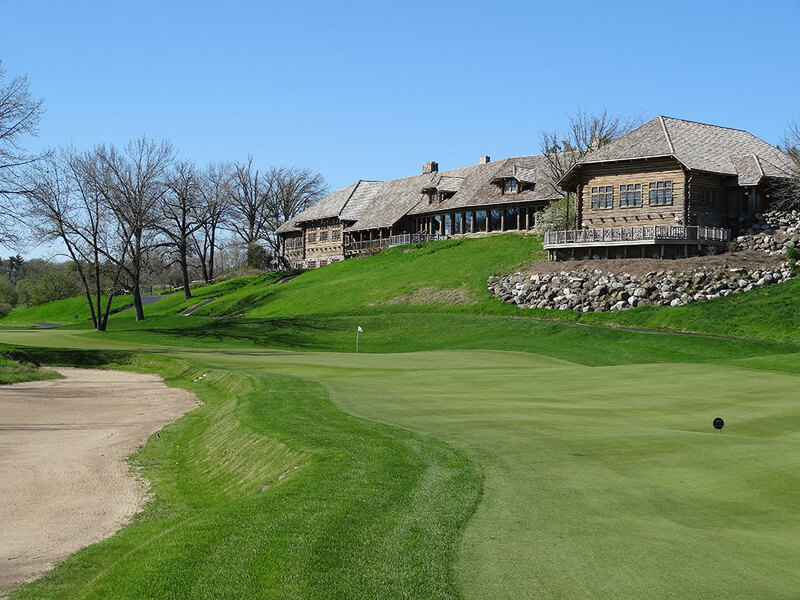 Accolades: Ranked 4th in Wisconsin on Golf Course Gurus' Best in State list. 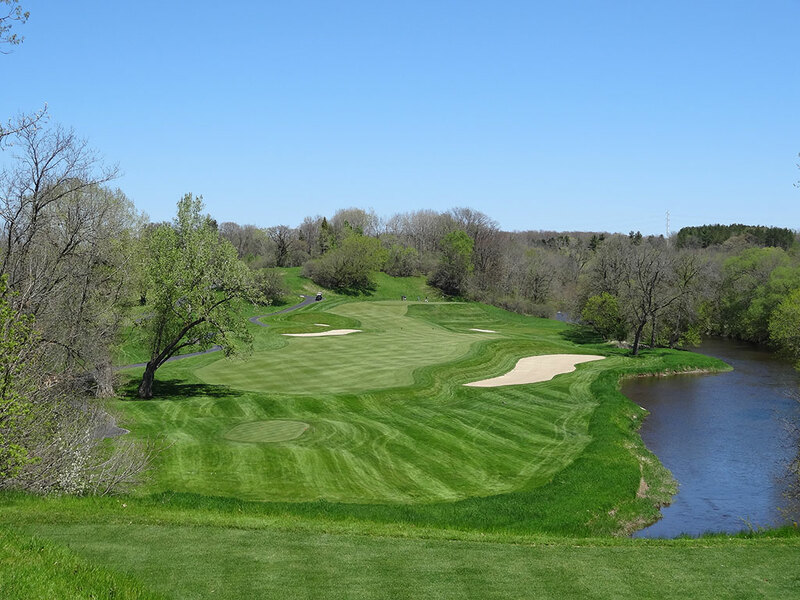 What to Expect: The River course at Blackwolf Run is generally considered only second to the Straits course as the best offerings at Herb Kohler's golfing paradise, but you won't have to ask around much to find players that give the nod to the River course as the best of the best. 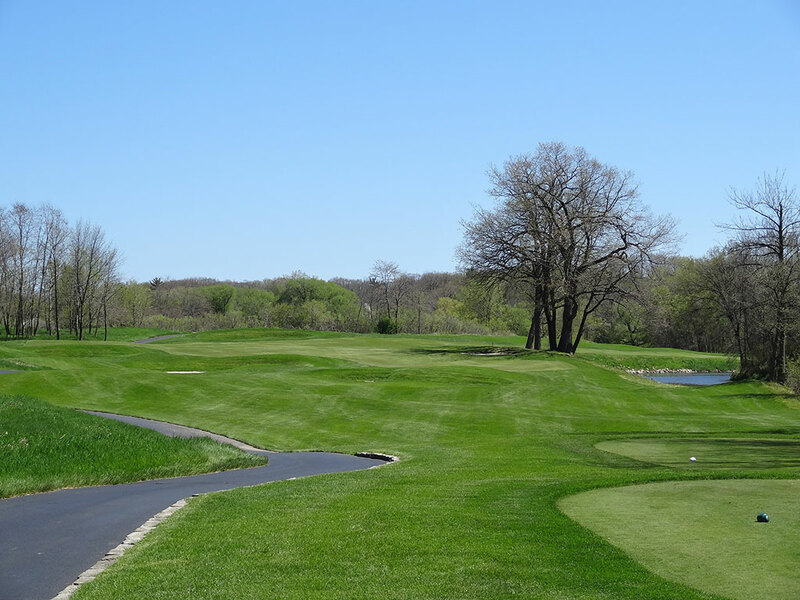 The original 18 holes which formed the course utilized in the 1998 Women's U.S. Open, often considered the best routing on the property, consisted of holes 10-18 from the Meadows Valley course and holes 1-4, 14-18 on the River course. 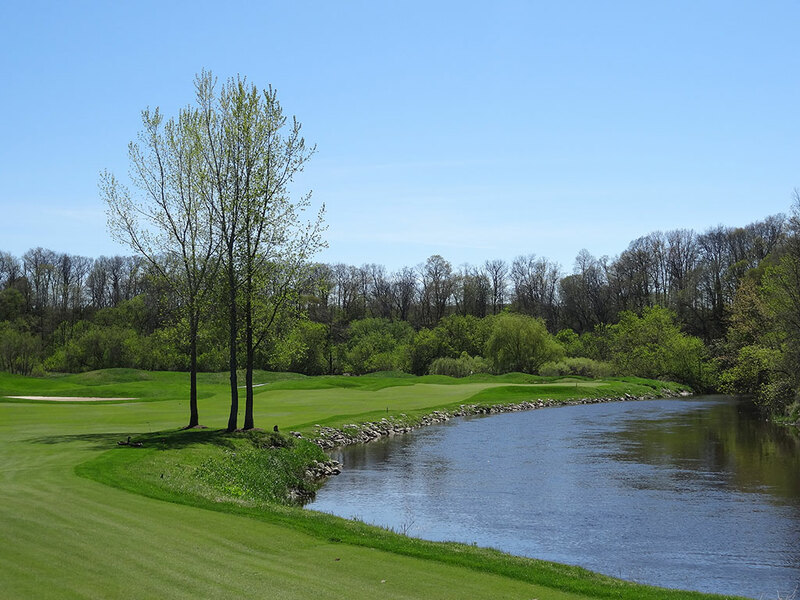 Dye's River course has a beautiful naturally rolling setting that is bordered by mature trees and runs along the Sheboygan River for several of the holes. Most players will elect to ride a cart given some of the far distances between greens and tees, but walking is always an option as is taking a caddie for the day. 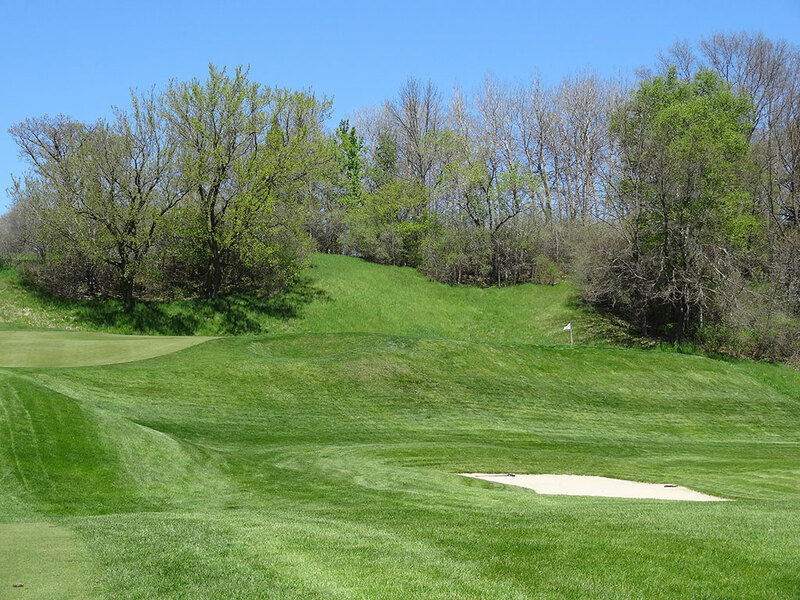 There are several intriguing shots throughout the course including the beautiful downhill tee shot on 5th, risk/reward tee shot on the 9th, and the half-blocked tee shot on the par three 13th. The finishing hole is a strong par four that is an excellent final test to a challenging, yet rewarding, course. 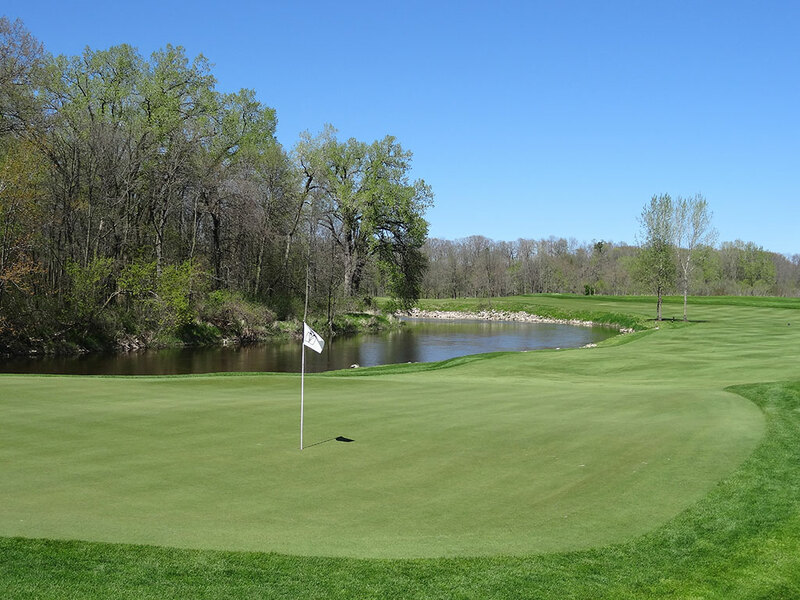 While the Straits course may be the more highly acclaimed track at the American Club, the River course is more appealing to play day in and day out. 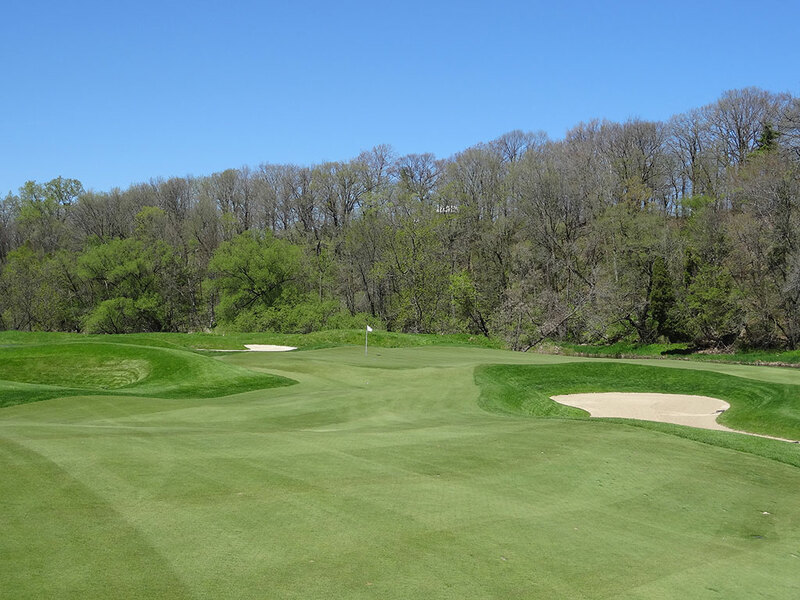 Signature Hole: 8th Hole – 532 Yard Par 5 – The 8th hole at Blackwolf Run's River course boasts two enjoyable features; an attractive downhill tee shot and a split fairway. The tee shot plays through a chute of trees to a fairway that turns nearly 90 degrees right before climbing to the green. If you aren't playing the tips, you likely will need to hit something less than driver or challenge the corner in an effort to shorten up the hole. After the dogleg the fairway splits with the high side running contiguously to the green and the low side running parallel to that fairway with a strip of rough and bunker separating the two near the putting green. While the high fairway is the superior route when going for the green in two, the slope in the short grass pushes balls away from the green and sets up the lower fairway as the best line of attack if you are laying up on your second shot. With a dramatic tee shot and strategic elements afterwards, the 8th hole is a great offering. Best Par 3: 4th Hole – 219 Yards – The first par three at the River course is what kick starts the course to a higher level. 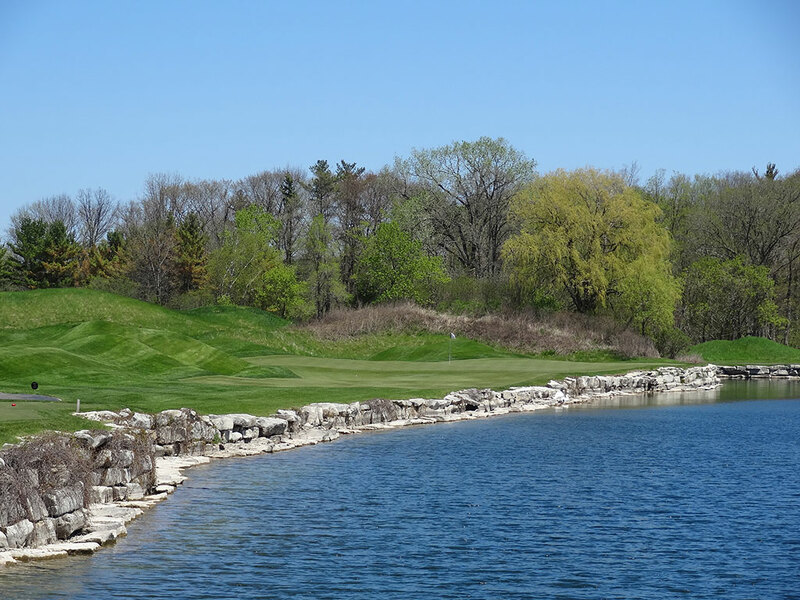 This beautiful one-shotter plays over water from most of the tees and continues to frame the right side of the hole with a wall of rocks separating the water from the green. The bailout is anywhere to the left with short left leaving a straight forward chip onto the green while long and left begs for an unlikely kick from the adjacent hill back onto the putting surface. While it is not a complete do-or-die hole from the back tee, it certainly is enough to make you pucker. Best Par 4: 5th Hole – 427 Yards – Nicknamed "Made in Heaven," the 5th hole is an absolute breath taker. From the well elevated tee box players are offered a captivating view of the fairway below featuring a lone tree on the left and a river running along the right. The elevated plateau green proves to be a formidable challenge to hit yet is also one of the most enjoyable to attempt. Players that keep their tee shot up the left side will have the opening of the green in front of them but need to be leery of how far they carry their approach since the putting surface runs away from left to right. With as many great holes as there are at Blackwolf Run, this one is my favorite. Best Par 5: 11th Hole – 621 Yards – Blackwolf Run enjoys excellent par 5s and the lengthy 11th hole is a great example of this. 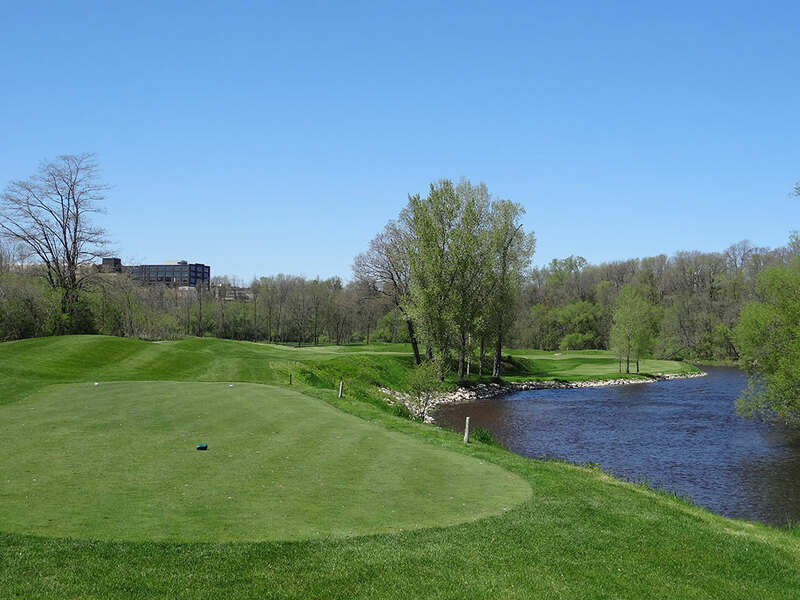 The Sheboygan River runs along the right side of the hole from tee to green on this hard dogleg right three-shotter. The group of trees protecting the corner of the dogleg should discourage players from trying to shorten this hole with their tee shot. After finding the fairway players can challenge the river and cut down the yardage of this par five or they can elect to continue playing safely up the left half of the fairway. The large green invites approach shots of any length so if you have a favorable lie and are feeling good, go ahead and take a rip at the flag and see if lady luck is on your side. Birdie Time: 9th Hole – 361 Yard Par 4 – One of the most memorable holes on the course is this tantalizing driveable par four. 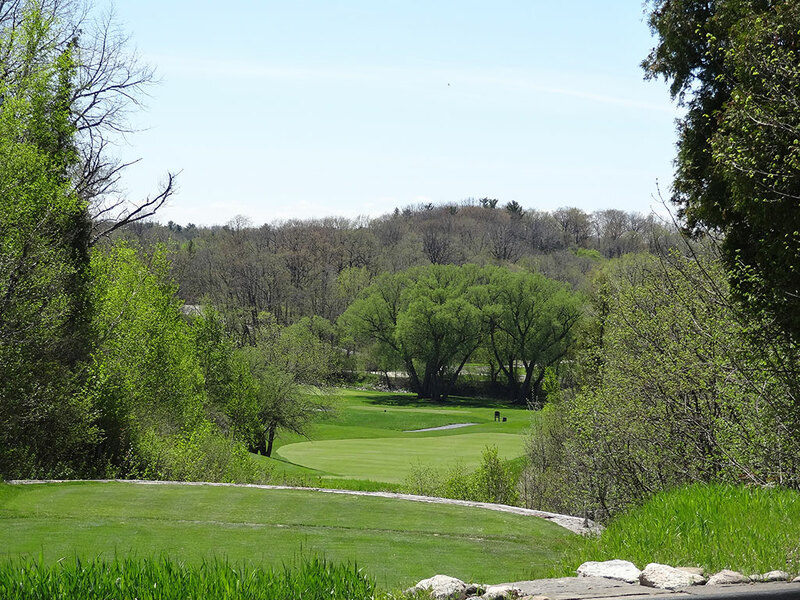 A group of trees create a decision for the golfer; play safely up the left or go directly at the green in line with the alternate fairway that parallels the river. While a good risk/reward driveable par four is one of my favorite type of designs, the risk here far outweighs the reward. Laying up with a long iron to the left will provide plenty off the tee and the perfect angle into the green. 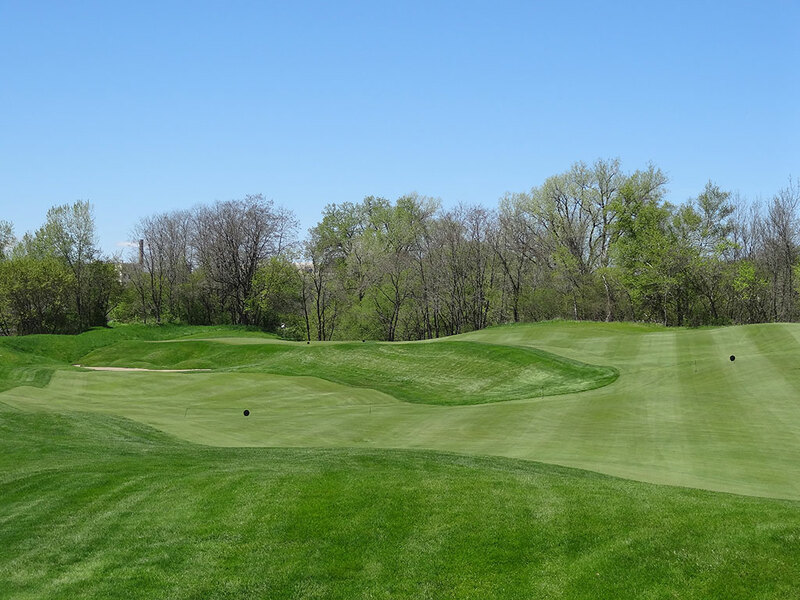 Driving up the right side brings the trees, bunkers, and river into play and unless you carry it all the way to the green you are likely to be left with an unfavorable lie and angle. Playing it smart here yields a great opportunity to card a birdie without taking on the risk. Bogey Beware: 18th Hole – 510 Yard Par 4 – Most championship courses finish on one of two styles of holes; a par five that can create drama at the end of a tournament or a lengthy par four that tests players to the bitter end. 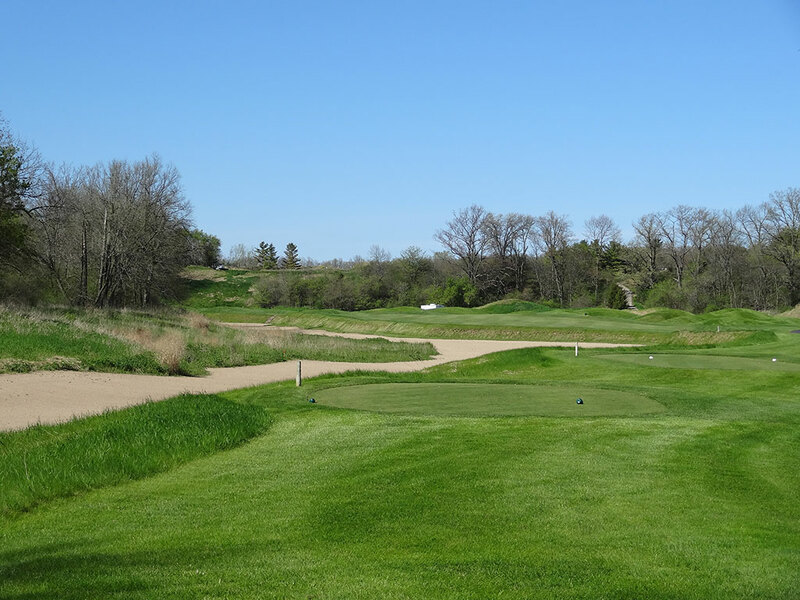 In the case of Blackwolf Run's River course, it is the later challenge with a stout 500+ yard test. A bunker must be carried off the tee before the sandy hazard takes off and runs the entire left side of the hole. The hole doglegs left and plays ever so slightly uphill with the a hill and clubhouse framing the right side of the hole. Other than the series of mounds that sit right of the fairway in the landing area, the bunker up the left side is main obstacle to contend with beyond the brute length. Very few greens in regulation will be found on this hole from the tips with a stellar short game being the likely reprive from scoring a bogey or worse.